Melons are a family of fruit encompassing many varieties, the most popular ones being watermelon, cantaloupe, and honeydew. Other varieties include the horned melon, casaba, and banana melons. According to LiveStrong.com, they belong to the gourd family, alongside squash. They have been cultivated for the past 4,000 years,. 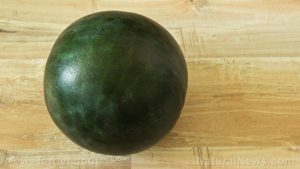 While melons vary in shape, size, color, and taste they generally have a tough skin and watery flesh, with seeds on the inside. Melons also tend to have a sweet flavor and smell, making them a popular ingredient in both the culinary and cosmetics industry. Melons have low energy density. They can make one feel full despite having a low calorie count. This is ideal for those who are watching their weight, and explains melon’s popularity among dieters. Regular consumption of melons can prevent cancer, due to their high amount of carotenoids, which are associated with lower risk of cancer, particularly in the lungs. Melons are a rich source of adenosine, an anticoagulant which prevents blood clots from forming, consequently preventing heart attack and stroke. Melons are made up of 90 percent water, and this high water content has a soothing effect and provides relief for those suffering from heartburn. As a natural diuretic, melons help maintain kidney health and cure any kidney diseases. Combined with lemon, they also prove effective against gout. Melons also help regulate digestion, keeping bowel movements smooth and easy due to their high water and dietary fiber content. Low in calories and sodium, and with no fat or cholesterol, melons are ideal for promoting weight loss or maintaining a healthy weight. Melons are good for the skin, as they contain collagen which supports cell structure in bodily tissues. Melons keep skin firm, promote faster wound healing, and keep skin moisturized. They also have anti-aging properties, as they contain a combination of vitamins A, B, and C. Aside from being eaten, they can be applied directly to the skin like a facial mask. They contain a substantial amount of vitamin A, which promotes hair growth. At the same time, the B vitamins they contain, such folates, prevent hair fall. Melons are also good for an energy boost, due to the amount of B vitamins they contain. Melons are often consumed on their own, as their sweet flavor stands out on its own. However, they also work great when added to various dishes. According to SeriousEats.com, they can be added raw to a salad with Spanish ham and basil for a delicious treat with contrasting flavors. They can also be blended into a soup, brushed with spices and grilled, or turned into a sorbet. Melons also work well when blended into smoothies. Melons can prevent cancer, heart disease, and stroke. They can be used to treat kidney diseases and gout. Melons promote smoother digestion and prevent constipation and diarrhea. They can be used to aid in weight loss. They maintain good skin health. They support hair growth and prevent hair loss. Melons can improve energy levels.